Beautiful blue moon reflecting on lake's water with an eagle flying in front of it in an amazing clear night. This HD live wallpaper is an animation filmed in HD which will add on your screen an unreal moon with a nice looking animated eagle flying. This is a free live wallpaper with a mountain like at night, with an eagle flying over the lake, with a giant moon. Enjoy the amazing reflection of the giant blue moon in that clear crystal lake, in a beautiful night. Add this blue giant moon live wallpaper as Live Wallpaper now and you will find yourself being there in that night, looking at that big moon and admiring that beautiful eagle flying just in front of the moon. I hope you will enjoy my Free Blue Moon over the lake Live Wallpaper and you will get relaxed wherever you are in the world. Please check for the Live Wallpapers menu in your phone to be sure that 'Blue Moon Live Wallpaper HD' works on your device. There are beautiful nightly scenes with a nice bird flying in the sky with a beautiful gigantic blue moon reflecting in that nice lake with that snowed mountain from background. 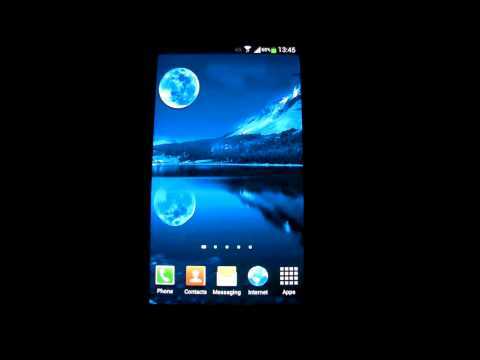 Blue Moon Live Wallpaper HD was filmed in HD to provide a high quality resolution of the eagle flying, of the white mountains from background, of the beautiful blue moon reflecting on the lake's water.